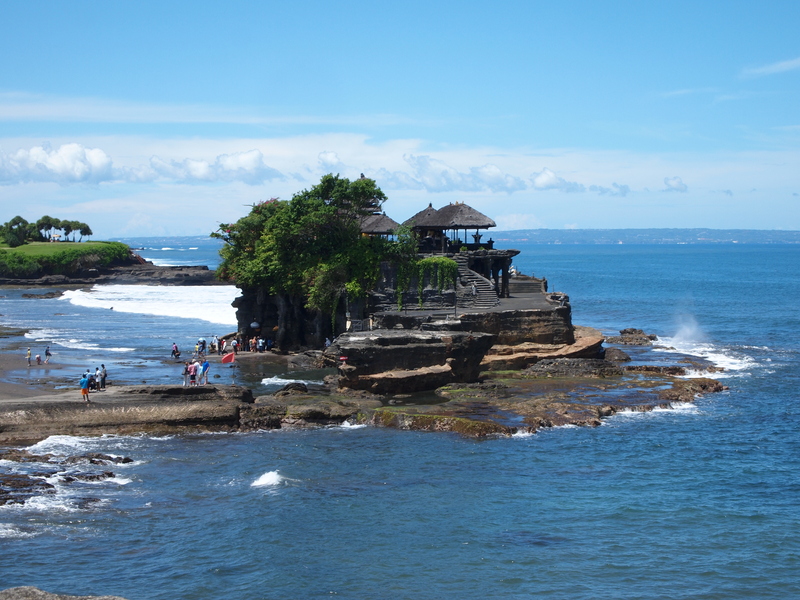 Perched at the edge of a strong rock with ebony roofs and rock stairs overlooking charming waves gently crashing against the boulder is the Tanah Lot Temple. Let’s take a look at what the temple is all about. 20 km northwest from Kuta is the Beraban village of the Tabanan regency where the Tanah temple is located. The temple is situated less than an hour’s drive away from Montigo Resorts Seminyak or other such Seminyak beach hotels. There are several smaller shrines, shops and restaurants situated nearby for visitors who are making their way to the temple. A high priest from the Majapahit Kingdom named Dang Hyang Nirartha set foot on Bali in 1489. However, the priest was not welcome to carry out his mission. The village chief attempted to chase the priest when the priest with his power moved a rock out to sea and built a temple there with sea serpents to protect it. During a high tide, getting to the temple is near impossible as the water engulfs the walkway. Nevertheless, when the tide is low, one can explore the homes of the fabled sea serpents. When the anniversary of the temple draws near, the local devotees begin their festivities by engaging in a colorful parade towards the temple. The Tanah Lot Temple is an unmissable tourist attraction in Bali due to its stunning location and legendary folklore that surrounds it. Next Post Selecting the right paint for your artworks – Things you should know before creating your masterpiece!